We are ready to help you transform your business! What if you could run a wonderful studio without having to keep an entire building clean and maintained? What if you could own a successful dance studio without owing rent or a mortgage on your facility? What if you didn’t have to staff a front desk? What if your workdays ended by 5pm and you could run your business entirely from home? What if you could take maternity leave, travel wherever you wish, and still see money coming into the bank? These are all about to be very real possibilities. Enter – Lauren + Leah. What is Beyond the Studio? BTS is our online course that’s committed to instructing our students in creating a successful on-site dance business. Our sister company Studio Go provides solid dance education to over 800 students each week, across the Southeastern US. We are the on-site dance experts! What exactly is on-site dance? We break these down into modules. Some have additional downloadable PDFs. This is a guide that you can print out to offer assistance as you go through our modules! Where are your initial numbers and where are we at the start? How do we carve out time to make room for new endeavors? We break these down by each quarter. Direct access to our advice, feedback, and listening ears! Personalized Consultation within a group consultation. *Some will coincide with the quarterly call & we’ll tackle everything at once in those. Free video training with Claire O’Shea, a Dance Studio & Business Coach who operates out of Australia. Her insight into technology in dance is powerful stuff! Claire shares how technology can significantly reduce administration hours, increase business awareness and generally help save your sanity through her 4 technology tips and tricks! We have become well-known in the dance education world as preschool experts. Monthly subscribers to our preschool dance curriculum have spanned 4 continents! In our course, we share some of our most helpful advice for your on-site classrooms. You may think that your previous studio material will suffice for these new students of yours, but we warn you to heed our advice! Quality content that speaks properly to your new client will be the deal-breaker in your future on-site dance company’s success! *BONUS: You get to be our friend, and we’re pretty dang fun! 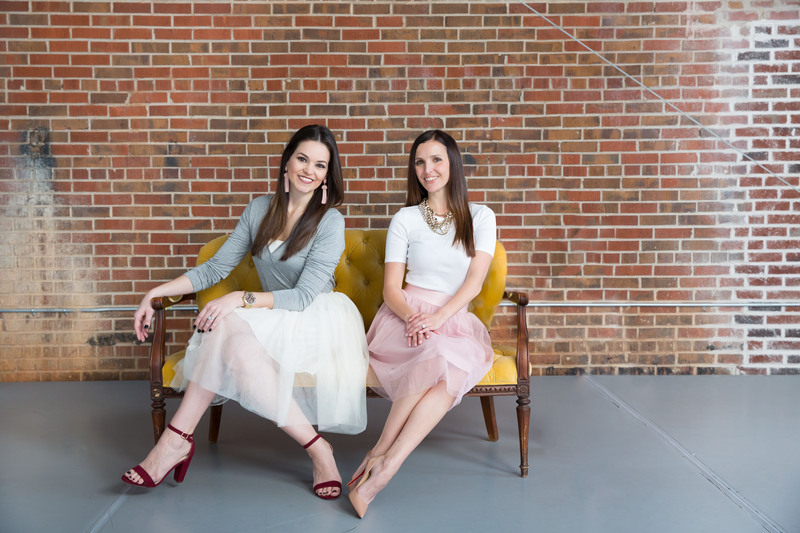 Imagine striding into your preschool classes with curriculum, music, activities, and props ready to go… Leah Matthews and Lauren Nolan were imagining that dreamy scenario when they launched Studio To Go in Atlanta this fall. STUDIO LIFE A’INT EASY, Y’ALL. 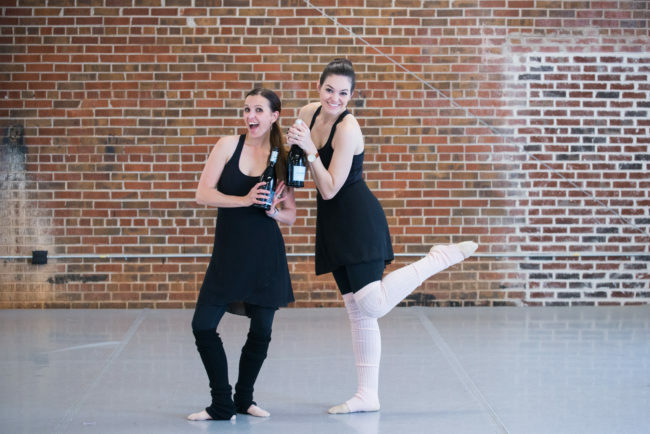 Studio To Go is proud to have been featured in Dance Studio Life Magazine. Our article was inside the December 2017 edition. 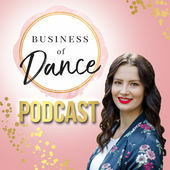 Also, Studio To Go has been featured five times on “The Business of Dance” Podcast, created by Claire O’Shea of Australia. CLICK HERE TO CHECK OUT EPISODES 15, 48, 76, 77, & 78! BE SURE TO FOLLOW THE PODCAST ON ITUNES! We teach over 800 preschoolers in 4 different markets across the Southeastern US! We have been developing approach to dance education for over three years. It is tried & true! Co-founder Leah Matthews owns Studio Go, our sister company. It’s a mobile dance education business that instructs over 800 dancers under the age of 8 across the Southeast. 90% of those dancers are preschoolers. Co-founder Lauren Nolan is the Artistic Director of Studio Go. She helped Leah create a yearly progressive curriculum for our students, back in the day. Immediately upon implementation of the program, we saw benefits. Not only were teachers prepared & parents happy, but revenue increased by 40%. We moved into 4 markets in 2 years! We began packaging our preschool curriculum for dance studio owners across the world. Our clients have spanned four different continents in a very short amount of time! 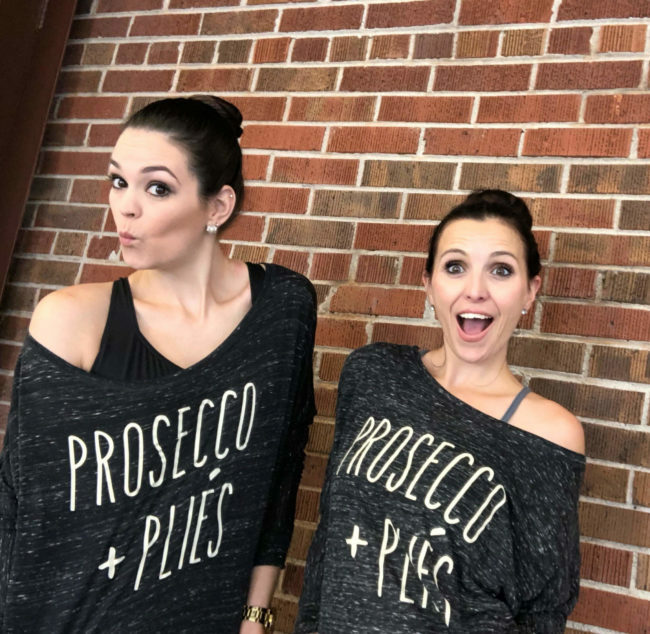 Our weekly video series “The Weekly Wine Down” began on Facebook with us sharing our thoughts, observations in the dance world, and ideas. The WWD following has grown immensely! Our exposure to dance professional across the world lead us to offering phone consultations in our business. We soon realized that a vast majority of folks actually wanted to discuss our on-site dance program and our sister company Studio Go! The questions started pouring in. After much thought we realized the best way to meet the needs of so many people is to create an online course. So here we are, and the rest is history! Want to know a really cool byproduct of Leah’s efforts in setting up Studio Go for content success? Our company’s revenue increased by 40% and we found ourselves operating in 4 different markets. Lauren… has such a huge passion for the art of dance! She inspires me as a studio owner myself and I am so excited to watch this dream take off! We have a big heart for our community and philanthropy. Dance, movement and smiles are universal languages after-all, right? 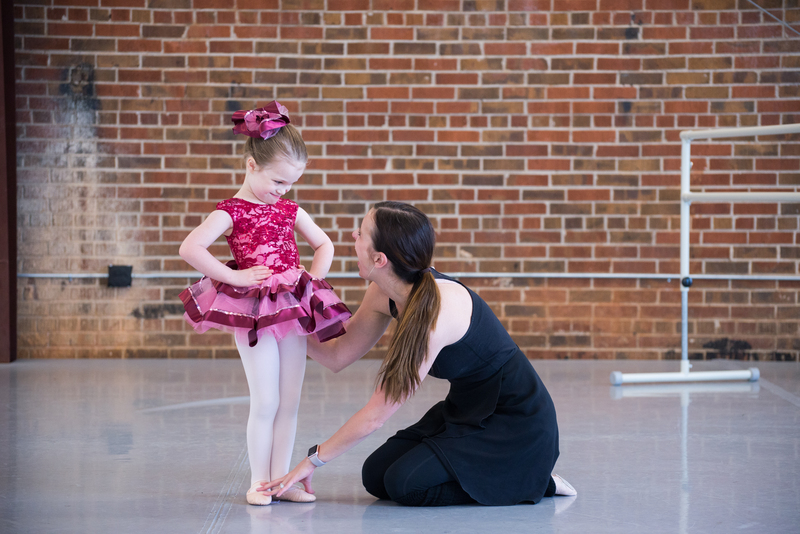 Whether it’s sponsoring Nutcracker events at Children’s Healthcare of Atlanta, or having our tiniest dancers perform at a nursing home during February (when our character development theme is compassion), it’s incredibly rewarding. 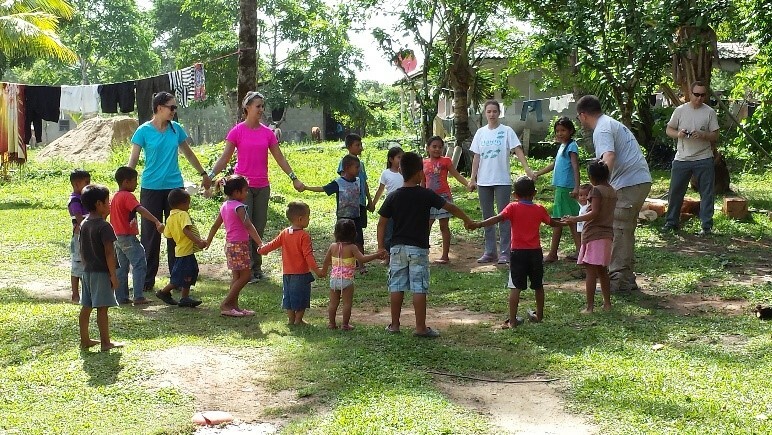 Leah has taught dance in India, and Lauren has lead movement activities while working in Honduras. This summer we even trained faculty at a new dance facility in Guatemala! Amazing team, great with kids, and the cutest recitals. Our perfect world would be spending more of our time volunteering our skills to underprivileged children than stressing about work. We want to teach dance regularly in third-world countries to itty-bitties that would not be exposed to the joys of dance class otherwise. We want to host fundraisers for local kids in need. Leah even dreams to start a non-profit dance organization that she thought up years ago. We may not quite be THERE yet, but we are working hard towards these goals! I have known Leah for three years both as a colleague and as my son’s movement teacher… In her class she makes sure to welcome each child and provide individual attention. LOOK FORWARD TO HER CLASS EACH WEEK. The classes include both a mix of routines that the children love and new activities and music from week to week to keep expanding their skills. 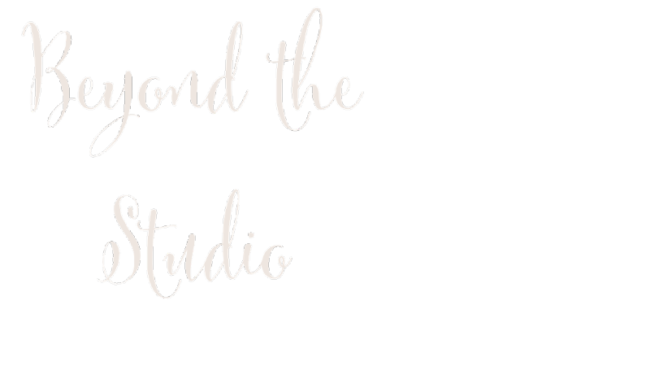 How does Beyond the Studio work? *Note: Due to the markets in which Studio Go currently operates, residents of Georgia, Tennessee and South Carolina are not eligible for purchase of Beyond the Studio at this time. How is my content transferred to me? You’ll receive an email upon purchase with a link to a private Beyond the Studio Member page in the “product notes.” There, you’ll be able to view your module videos and download your workbook & PDFs. Will I miss having a physical studio? You very well could miss having a beautiful dance space to call your own. Who are we to judge you? HOWEVER, we know you won’t miss those bills. Paying rent, replacing marley floors, buying toilet papers, cleaning mirrors, and vacuuming crumbs in the lobby are items that are NOT on our daily to-do lists! PLUS, who said you absolutely have to give up your physical studio? Not us! Having an on-site studio would be a great feeder-program into your brick and mortar studio once they get older! I already own or have owned a dance studio before. Why do I need your course? We understand where you’re coming from and we do know that you have the fundamental building blocks that will make you a great fit as an on-site studio operator. However, there are so many legal considerations that are unique to this approach to dance education. There will be many stumbling blocks coming your way if you’re not prepared to run this specific type of program. Our logistics are SO vastly different from a physical studio that we’ve dedicated an entire module to “Breaking the Brick and Mortar Mindset.” You will have to do things a little differently here than at your studio. Trust us and the years of operation that we have under our belts! Will you offer outside resources to me? Throughout your year of membership we’ll be suggesting various business-related books that we think are essential to running a successful company. Also, we have wonderful contacts to both general business mentors and to DANCE business mentors that we are happy to share with you at any point! In fact, we get to introduce you to Claire O’Shea! Based in Australia, she’s a studio owner, dance educator, as well as a business and mindset coach who helps dance studio entrepreneurs scale their business into a dance empire and dramatically increase their profits whilst creating more freedom. She provides a FREE training video to all of our course purchasers! What happens when my year of membership ends? What if I want direct feedback on my marketing materials, website copy, and items of that nature? We are so happy to provide you with guidance and feedback on items just like this! We do ask that you direct all questions of this nature to our Facebook group, as we do not offer email inbox support at this time. As long as you are within your one-year BTS membership (or have opted for our post-membership coaching services mentioned above), we’re thrilled to give your materials a once-over and help you customize your message to your potential future clients! 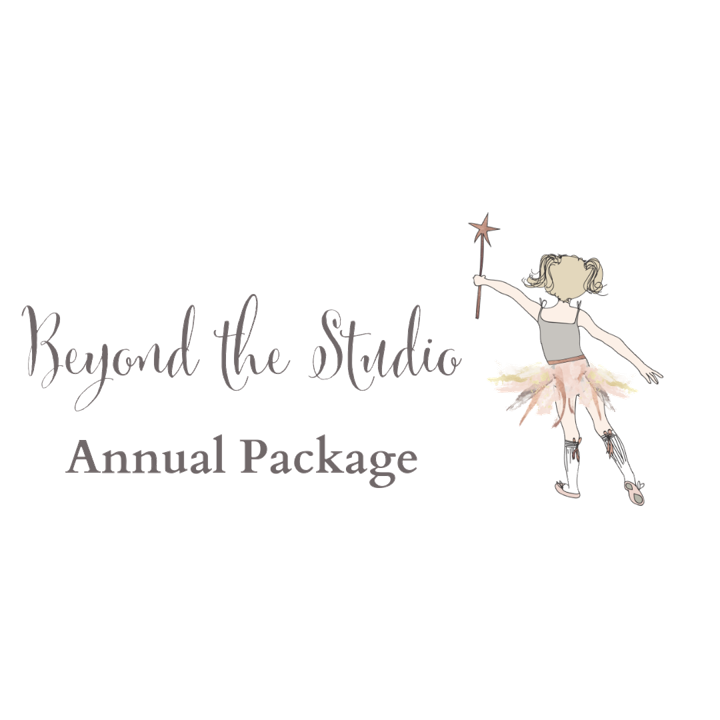 Do I have to be a studio owner to be in the Beyond the Studio program? Nope. You just need to be a dance professional who is interested in running an on-site dance facility! We welcome current & past studio owners, as well as first-time business owners! Why is the Facebook group so special? This is your go-to spot for one-on-one advice and attention. Have a particularly sticky situation going on in your studio? Ask and you shall receive. Trust us… At least ONE of us has been where you are. We have over 20 years of combined teaching experience (yes, also in the studio setting) under our belts. We will be featuring custom-content based on the feedback we receive from YOU in the group. Other members of our BTS family will be able to offer encouragement and feedback for your studio’s needs. All proofing-related questions should be directed here as we do not offer inbox support at this time. 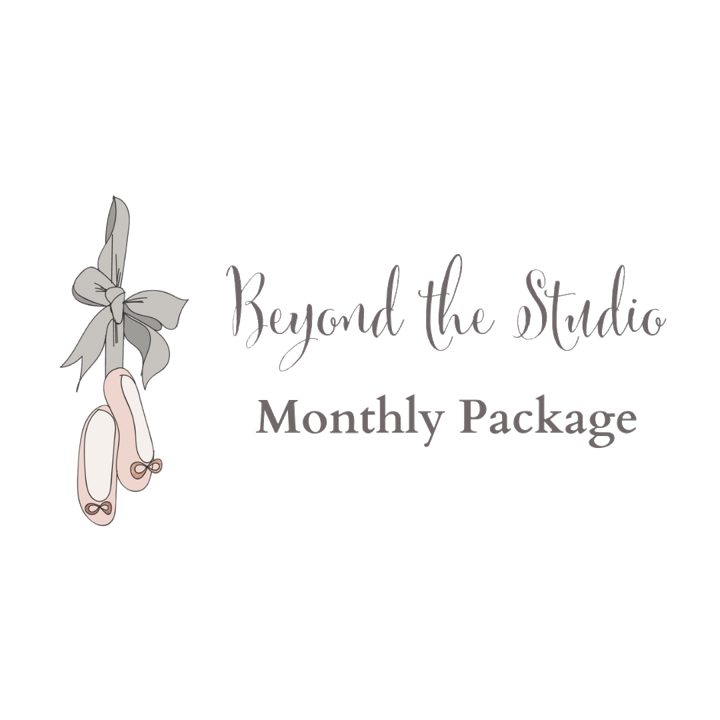 What happens if I don’t like my Beyond the Studio membership? We really do not think this will happen; however, if for some unforeseen reason it does, we have you covered. We offer a 30-day full refund period. After the refund period, no refunds. No exceptions. Do I have to meet eligibility requirements to take the course? Yes, but they’re pretty simple. At this time, residents and business owners operating in the states of Georgia, Tennessee and South Carolina are not eligible to take the course. Interested in on-site dance, but you haven’t quite decided to make the “jump?” Listen in to hear about Studio Go’s financial secrets! Alllllso, while we have you here…. No, we cannot offer any kind of guarantee. We can tell you the rainbows, butterflies, cartwheels, and lollipops that we are experiencing while implementing an on-site dance program. Alas, we cannot predict your future. We are HIGHLY confident that your future on-site studio will kick @$$ with our course though! Studio Go is unlike any other dance education company I have worked with. Their emphasis on character and confidence building, rather than strictly dance technique, is unmatched in the dance community. And I think that’s what makes this company so special. One of the aspects Studio Go Dance really shines over other similar companies is keeping all of our teachers on the same page… Being a teacher who is teaching not only for Studio Go Dance, but also for a traditional dance studio, I can say with certainty that I enjoy my Studio Go classes more. Have we got a "techy" treat for you! 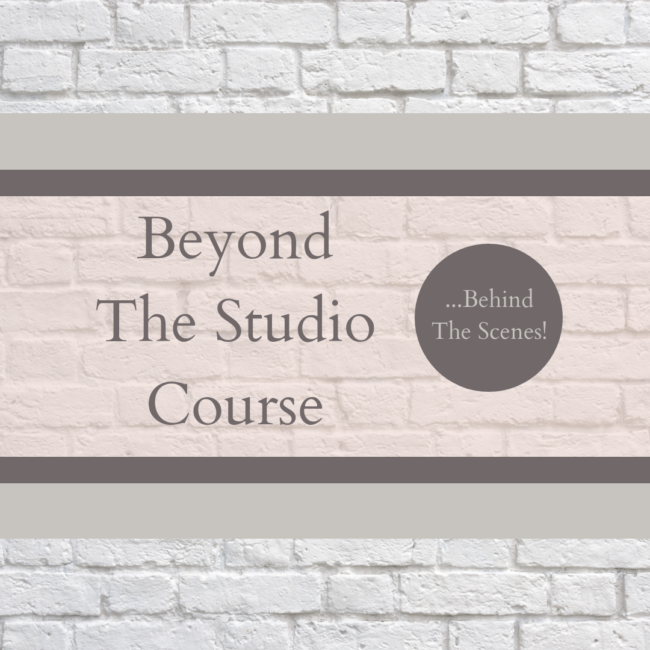 Sign up for Beyond the Studio to snag our course bonus! This bonus video training will be presented by Claire O’Shea. Claire is a studio owner, dance educator, as well as a business and mindset coach who helps dance studio entrepreneurs scale their business into a dance empire and dramatically increase their profits whilst creating more freedom. When it comes to living in this day in age, we are all well aware how big of a role technology plays in our businesses. It especially plays a significant role when you are creating or expanding your on-site studio, as it helps get the word out and generate credibility in your area. It may be a challenge at times or at the beginning with all the apps, programs and new ways technology can play a role within our businesses. The good news is that in this video, Claire O’Shea shares with you how technology can significantly reduce administration hours, increase business awareness and generally help save your sanity! In this video, Claire covers her 4 technology tips & tricks for your studio! She shares her favorite tools and tricks for managing social media, system building, team communication, marketing and more! ⭐️ You weren’t treading water in your workday. What would it be like to be educated on PROVEN productivity hacks? ⭐️ You were able to afford paying yourself as a studio owner. ⭐️ You had free time for what you value most in life, *gasp* outside your studio. ⭐️ You weren’t having to clean handprints off studio mirrors. ⭐️ You could turn off work at 6pm with not a “dance worry” in the world. ⭐️ You taught more engaging classes where both YOU and your babies are loving it. ⭐️ You heard mommies “ooooing and ahhhhing” at your recitals, which actually highlight the child and what was learned in the class. ⭐️ You didn’t have to turn around and spend a majority of your studio’s revenue on bills, but you got to KEEP it in your bank account. Studio To Go provides the most personalized, innovative approach to dance pedagogy in the market right now. I absolutely love having all this creative content right at my fingertips. It saves me so much time in my lesson planning by having choreography already on hand and helps keep my weekly classroom material fresh and exciting. Team, don’t let the curtains close on your chance to gain priceless time for your personal life! Now is the time. Don’t be this chick. Bye, Felicia! Ahhh you made it here! This is THE hot spot, where you can now grab your membership plan! Just choose your plan from the choices below and you’ll receive instant access to the content. Paid monthly for 12 months of membership. Paid up front, for 12 months of membership. $200 discounted to thank you for your business!